How does the aspect ratio of a wing impact its lift? The wing lift formula shows that lift of a wing is proportional to its area. So why are most conventional wings shaped the same (swept back rectangles)? Imagine a conventional airplane but with the wings shaped as 2 thin long rectangles attached to a fuselage from the cockpit until the tail with the same area as the original wing. With all other things (like angle of attack, etc) being equal will the same lift be generated as the original wing? "The wing lift formula shows that lift of a wing is proportional to its area". Research demonstrated that the induced drag is dependent on the wing aspect ratio, not only on the wing span. This can be understood easily: The quantity of air in a tip vortex is larger when the chord is large. So the answer to your question is: Yes lift is proportional to the wing area, but the lift/drag ratio is proportional to the wing aspect ratio. That's why longer wings are preferred, they minimize energy lost in fighting drag. "Why are most conventional wings shaped the same (swept back rectangles)?" On the other hand, the sweptback wing tends to stall at the tip first, which is not good at all, as when a stall appears we need ailerons to prevent it from worsening, and ailerons are located at the tips to increase their effectiveness. So swept wings are also twisted so that the tip angle of attack is smaller than the root one, forcing the stall to start at wing root. A higher aspect ratio (given the same wing area) means more wing span and less lift-dependent drag. At the same angle of attack, higher aspect ratio also means more lift (within limits). Lift is produced by deflecting the oncoming stream of air downwards. The more air can be affected, the more efficient lift production becomes. Maybe you want to read a few answers around here if you want to learn more. What you describe is a slender body wing. Most of the deflecting is done by the first few percent of this wing's chord, and the remainder will not be able to increase lift more, working on the already deflected air. 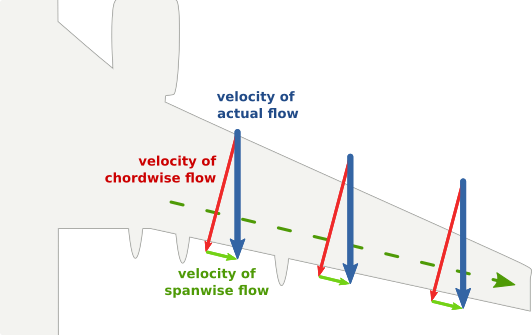 Consequently, the same area of wing will create less lift force, at least in subsonic flow. Take the XB-70, for example: Its maximum wing loading (mass divided by area) was 420 kg/m². The swing-wing B-1, which could stretch its wings out for slow speed flight, has a maximum wing loading of 1190 kg/m², however, the calculation method of its wing area does not include the large delta section ahead of the main wing. Still, a sizeable difference remains and shows that the same wing area can create more lift when stretched out. The "wing lift formula" that you quoted is a simple approximation and is not used for the detailed design of wings. Practical reasons why conventional wings have the shape they do depend on many design considerations, including the mission of the aircraft. The answers you have received address some of those issues. 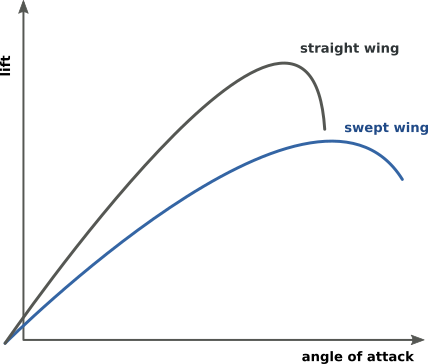 Be aware though, that there are many misconceptions in wing design. 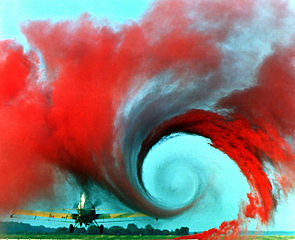 One common misconception is that: "Induced drag being due to tip vortices, if we can make vortices less efficient, then we also reduce induced drag." That is a great over-simplification. 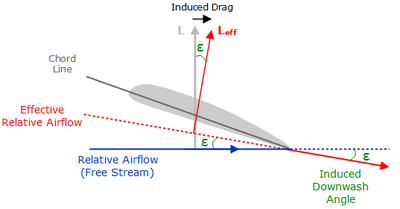 Induced drag depends on the shape of the entire wing, not just the aspect ratio and the tip vortices. Former Boeing Technical Fellow Doug Maclean discusses this misconception in particular, and many others in his book: Understanding Aerodynamics - Arguing from the Real Physics. Not the answer you're looking for? Browse other questions tagged aerodynamics wing lift drag or ask your own question. What is the immediate cause of stall? How does chord length affect wing design? Why is induced drag less on a high span wing? Is the induced drag independent of wing span? How to calculate the Lift Coefficient for the A320? Does Smeaton's coefficient have a modern accepted value or it is dependent of the air density? What is the maximum theoretical lift of a plane as a function of engine power and surface of the wings? 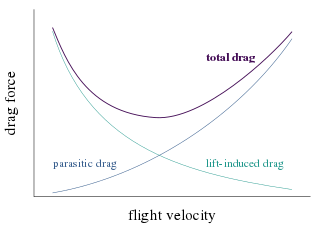 How can the zero-lift drag coefficient (parasitic drag) be calculated? Why local(section) lift coefficient(CLL) is higher near the wing tips compared to the root on untwisted tapered wings and untwisted swept(aft) wings? What is formula for induced drag in stalling regime?